Not too long ago, Playdate Connection was fortunate to meet Sherry Ehya, the owner of The Hideout Playground, a unique play place in Oak Park, CA. Sherry is a mother of 3 children: 2 boys (ages 7 and 4) and a 3 year old little girl. Sherry had previously worked in retail and sales. Also, she has a degree in fine arts and photography, which really came into play in developing such a fun and aesthetically pleasing play place. Sherry opened The Hideout on March 1st, 2014. She is proud that she and her family are the original owners. Part of what Sherry loves so much about her business is getting to meet so many new people everyday, as well as the relationship The Hideout has built in the community over the past few years. She loves the flexibility of her hours and finds that taking her children to work with her is absolutely priceless! Sherry has relatives who work as an architect and contractor. She designed everything at The Hideout herself with just a bit of help from them. All of the play structures, music stage, art studio and all of the other facets are well-built and one-of-a-kind. The Hideout focuses on imaginary play. They also handmake all of their party decorations, giving every part of this business a personal touch. They treat their clients like family and have built this business to feel like home. Overall, Sherry has done an amazing job. The Hideout is a great place to spend some time with your little one and to celebrate birthdays! We think one of Sherry’s strengths is her intricate attention to detail. She takes pride in delivering exquisite parties. Also, Sherry coordinates very creative events for her clients during regular business hours. She is a very hands-on owner and is passionate in making sure all of her clients and their children have the best experience at her play place. She also has been actively involved in the local community by giving back to worthwhile causes and as she mentioned before, creating good relationships. We think her dedication to the community and forming close relationships with her customers has contributed to the longevity of her business. 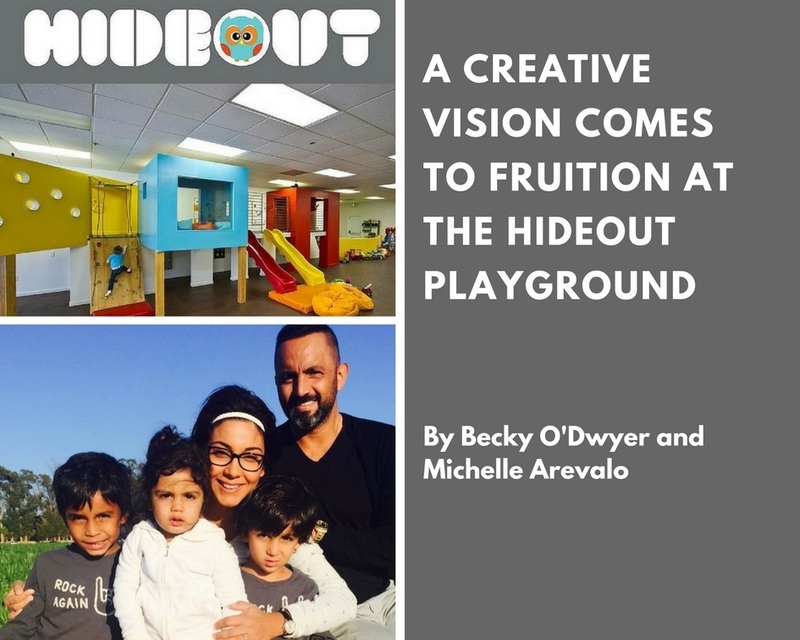 In short, by executing her creative vision, having an attention to detail and being actively involved in the community has been a great formula to making The Hideout Playground a success! We highly recommend everyone to visit! ← A Momprenuer Successfully Balances it All!